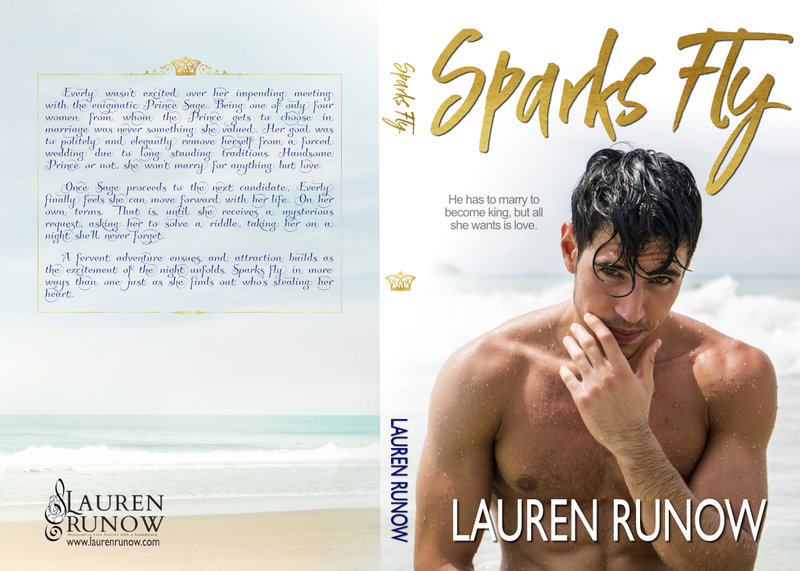 Sparks Fly by Lauren Runow! I love fairy-tale romances! I’m obsessed with “The Crown” and love watching anything about the Royal family. Lauren Runow has created a beautiful, fun royal romance with a ton of feels and a couple twists that I didn’t see coming. Prince Sage is being pressured from his father to marry from a list of 4 approved ladies and Sage finds one special lady on that list that doesn’t want anything to do with him. Everly might have a royal bloodline but there is nothing royal about her lifestyle or upbringing and the last thing she wants to do is get stuck in an arranged loveless marriage so when it seems like the Royal family has moved on she’s ecstatic. Until Everly receives a couple of unknown caller text messages that have her jumping through hoops to find out who they are from. Lauren Runow is the author of multiple Adult Contemporary Romance novels, some more dirty than others. When Lauren isn’t writing, you’ll find her listening to music, at her local CrossFit, reading, or at the baseball field with her boys. Her only vice is coffee, and she swears it makes her a better mom!